UNC Employee Fair, We’ll Be There! 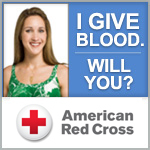 The Carolina Blood Drive will be at the UNC Employee Fair on Friday, October 19th from 9am to 3pm in the Great Hall. Come stop by and register for the 14th Annual Holiday Carolina Blood Drive! We hope to see you there! This entry was posted in Winter Blood Drive on October 18, 2012 by Lynn Eades.